A National survey of more than 1,000 millennials, ages 19-34 by Experian finds that millennials have the lowest credit scores of all generations. Despite this fact, there are many ways that millennials and young adults are doing well financially, and many ways they are doing things differently than their parents did or are still doing. As with everything else about millennials, technology is the norm, with online, apps and other digital devices and platforms the primary way they manage their finances. Millennials embrace technology and are quick to try new offerings – at the expense of loyalty to institutions, brands, or companies. Like so many other things that millennials do differently from their parents, their attention to their credit rating and scores is not something they are paying attention to as closely as perhaps they should. When asked to estimate the average debt of their peers, millennials were way off the mark. Including mortgage, millennials guessed that the average debt was $26,610, but it is actually $52,210. It might be assumed that most of the debt carried by millennials is student loans, but it's not - it's credit card debt, though only by 2% (38% to 36% of debt). Auto loans follow at 28%, home loans at 20%, personal loans at 17% and "other" at 14%. Millennials' smartphones, the center of their time and life management, use financial apps more often than not to manage their personal finances. With an average of 3 apps on their phones, chances are they are using a banking app, provided by their financial institution, a savings app such as Digit.com, or a payment app such as Venmo.com. Millennials don't see brick and mortar as the only, or even the primary, source of banking - in fact, with 57% using mobile apps, most have probably not stepped foot in a bank in recent memory. Alternative lenders, such as Prosper, Lending Tree or Upstart, are attractive to millennials for many reasons, including the ease of applying, reduced paperwork, and quick response time. As far as loyalty goes, the Experian survey found that millennials are open to switching banks, credit cards, and other financial services when new and better offers are available. Reasons for switching include better interest rates (47%), better rewards programs (43%) , better identity protection (32%) and superior customer service (35%). Understanding how credit ratings work and what impacts them is where millennials need more education and information. According to the Experian survey, most millennials feel confident of their credit knowledge (71%), but 32% don't know their credit scores, and a majority - 67% - aren't completely sure how credit scores are created. Millennials are, however, very aware of how their credit scores can affect them - nearly 3 in 4 have had their credit rating impact a loan or lease application. 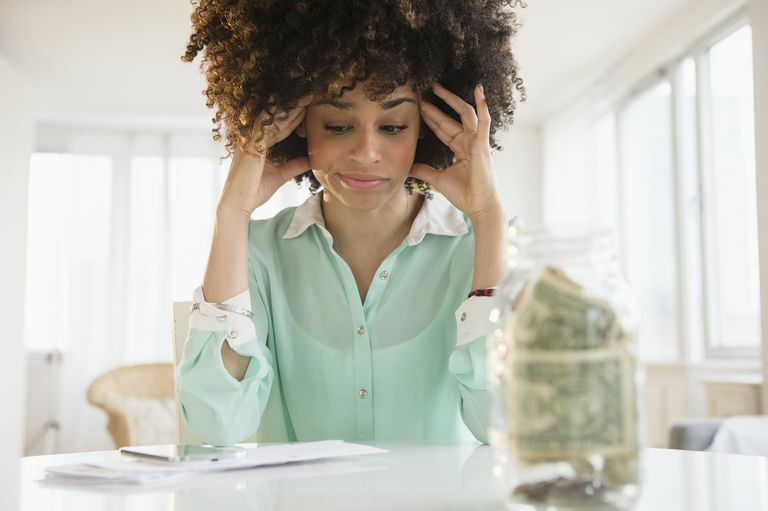 Millennials are nervous about their finances, both currently and in the future. Though they do, for the most part, feel that they are managing their finances well on a day-to-day basis, there is much concern about being able to support a family, save for retirement, and be completely financially independent of their parents. However, despite their concerns, their youthful optimism keeps them focused on being debt-free - 83% of the Experian survey respondents said it is an attainable goal, and 71% feel confident about their financial futures.